Cities are gaining power in global politics — can the UN keep up? Over the past two years, urban issues – from sustainability in the built environment, to inequality in cities – have become an international priority. Cities, in turn, are taking on a more important role in global politics; the growth of city diplomacy has forged hundreds of city networks and thousands of transnational initiatives. These developments have been disrupting the established political order. Cities are now relating directly to global instruments, treaties and commitments, often bypassing states – as seen in the steps taken by many cities to implement the Paris Agreement on climate change, despite opposition from central governments. These efforts are being met with growing recognition – not least by the United Nations (UN), which has introduced an urban focus to negotiations and agreements of international significance, such as the Sendai Framework for Disaster Risk Reduction, the universally-binding Sustainable Development Goals (SDGs), and the Addis Ababa Agenda on financing sustainable development. Perhaps the most relevant development yet, though, was when 170 of the UN’s member states agreed on the New Urban Agenda – a road map to guide the growth of cities over the next 30 years – at the Habitat III conference in Quito, Ecuador in October, 2016. Yet the process leading up to and beyond Habitat III raised questions as to whether the UN is fit for purpose, when it comes to addressing major global urban challenges. These concerns materialized in the appointment of an independent panel on the effectiveness of UN-Habitat – the agency responsible for the UN’s work on human settlements and urban development. The panel reported its findings at a high-level meeting of the UN’s General Assembly (UNGA) over September 5 and 6, where I spoke for academia, offering my input on the panel’s recommendations alongside numerous other representatives and delegates involved with UN-Habitat. The discussions made clear that reform is already afoot, and welcome at the highest level of the UN. 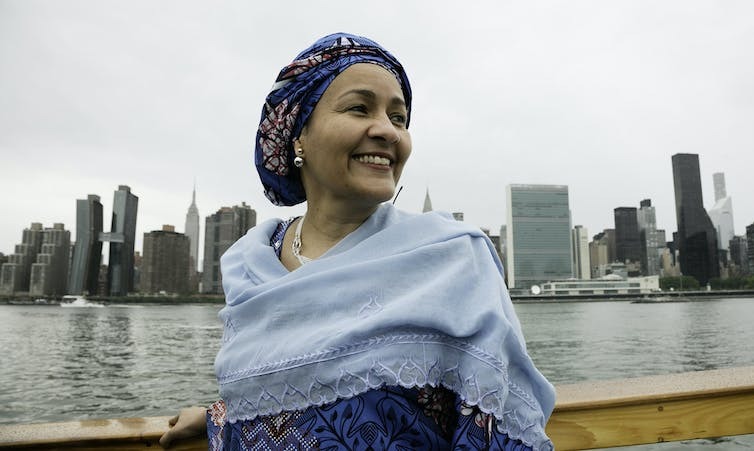 As UN Deputy Secretary General Amina Mohammed said in her opening speech, the organization now recognizes that “the global response to the promise of urbanization has been inadequate”. Bold recommendations are needed, as too much of the urban work in the UN system is fragmented across different arms of the organization. The stakes are high, as the reform of UN-Habitat is seen by Mohammed as a “litmus test for UN reform ambitions” – so far, a key focus for the new UN Secretary General António Guterres, who took office in January 2017. The panel’s report called on the Secretary General to consider a substantial redesign of UN-Habitat, with universal membership across all 193 UN states reunited in an Urban Assembly (compared with the 58 states currently on the UN-Habitat board). It also called for the creation of a global “trust fund” to enhance urban sustainability efforts, as well as the introduction of a new governance structure, to include a policy board and a committee of local governments. The report also formalized proposals to establish another UN body – UN-Urban – to act as a coordinating mechanism across UN agencies on urban matters, to be chaired by UN-Habitat. Taken together, these were seen by many as important and valuable steps for the UN to keep pace with the growing global importance of cities. Though Guterres already backed the panel’s findings in early August, discussions at the UNGA meeting cast uncertainty over a few core parts of these recommendations. Most member states reiterated the need to reform and strengthen – rather than do away or re-dimension – UN-Habitat. Even with scarce resources and scattered on-the-ground programs, the agency still commands respect for its capacity to convene and represent a variety of global interests around cities. As such, financing UN-Habitat remains an imperative which most agree on. South Africa underlined common concerns about the dire financial situation of the agency, with Kenya even calling for an urgent “rescue package” to save it from financial failure. But the UN’s work on cities does not stop at UN-Habitat and the New Urban Agenda, with the World Health Organisation progressively picking up an urban focus and connecting with cities in its efforts to meet the SDGs. Reforming UN-Habitat means rethinking global urban governance. Many countries across the globe raised concerns that the proposed management structures – policy board, urban assembly, local government committee – would prove ineffective if not properly backed, coordinated and financed. In fact, discussion on UN-Urban demonstrated substantial scepticism of the panel’s proposal, with the G77 and China (represented by Ecuador) but also the United States and Russia, emphasising the need to hold off on radical shifts. These discussions revealed a split emerging between the status quo of some UN member states – which regard the panel’s more radical reforms with suspicion – and an increasingly proactive coalition of cities, civil society groups and businesses, which broadly supports change. Though cities have evidently played an important role in agreements from Sendai, to Paris and Quito, some states questioned the positioning of cities as key actors in the New Urban Agenda and SDGs. The Russian Federation even suggested that the panel’s proposal was “presenting an erosion of the role of states”. 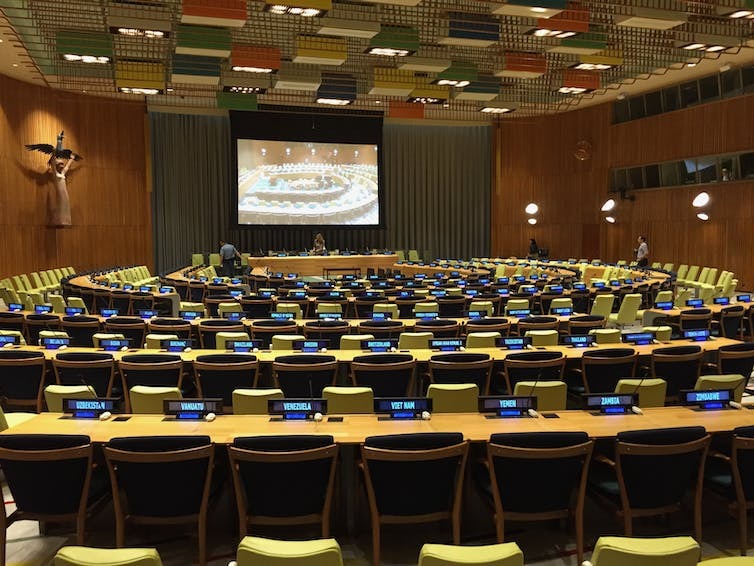 Given the weight of states within the UN system, it seems as though UN-Urban might not see the light of day after all, while cities’ input might be formally confined to the committee of local governments. There is a risk that the proposed reforms could widen the rift between states and cities, rather than opening the door for truly revolutionary shifts in the way the UN engages with local government. As I noted at the high level meeting – and as evidence from numerous other interventions points out – we need a thorough rethink of the status of cities within the UN System. Whether this key juncture is solved, the road toward reform is still long, and may yet hold unexpected turns. Before the year is over, UN-Habitat is due to appoint a new executive director. In the meantime, the UN Secretary General and his deputy are charged with proposing and rolling out fresh changes within the broader UN reform agenda, from Spring 2018. The verdict on whether UN-Habitat will be able to bear the weight of responsibility for the urban SDGs is still some months away, but we may yet witness a more radical restructure of the UN’s urban capacities. This article was written by Michele Acuto, Professor of Diplomacy and Urban Theory, UCL, and was originally published on The Conversation. Read the original article here. The Conversation is a collaboration between editors and academics to provide informed news analysis and commentary.